It's by Mighty Fine WWD MAGIC (which is on the 2 1/8" wide sides). 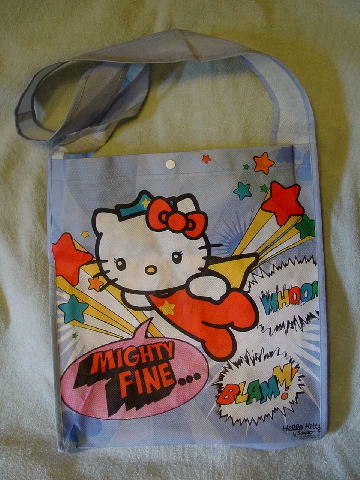 It has a blue background with Hello Kitty, stars and sayings on the front, as well as Hello Kitty by Sanrio and their copyright and information in the lower right corner. The strap is 36" by 2" (with a 17" drop). 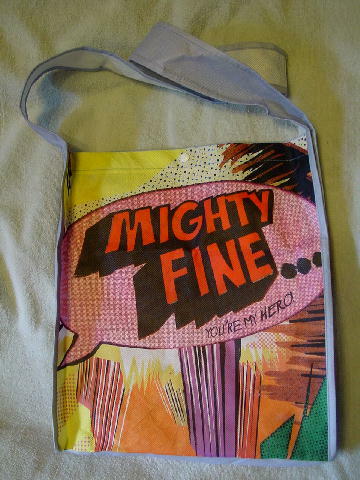 The back says Mighty Fine You're My Hero!.